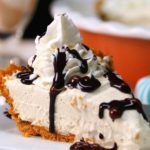 This Root Beer Float Pie is creamy, dreamy, and ultra delicious! 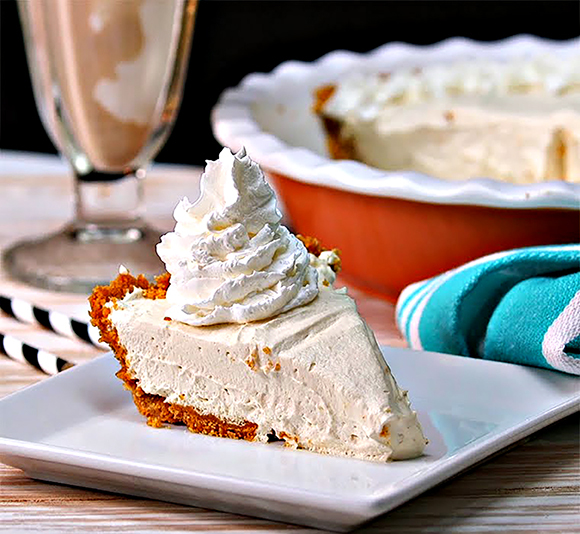 You'll be shocked at how close to a root beer float it tastes! It is sure to bring back childhood memories. An added bonus the calories have been cut down to make this more of a quilt free dessert. Preheat oven to 350. Lightly spray a 9-inch pie plate with non-stick cooking spray. Combine graham cracker crumbs, sugar, and salt in a bowl. Add in melted butter and stir until graham cracker mixture is coated. Press mixture into prepared pie plate. Bake for 8 minutes or until crust just starts to turn light golden brown. Remove to a wire rack to cool completely. In a large bowl, whisk together root beer, milk, pudding mix, and root beer concentrate for about 5 minutes, or until mixture starts to thicken. Carefully fold in whipped topping until combined. Pour mixture into cooled pie crust. Refrigerate for 4 hours or until set. Here’s a Video on how this is made.